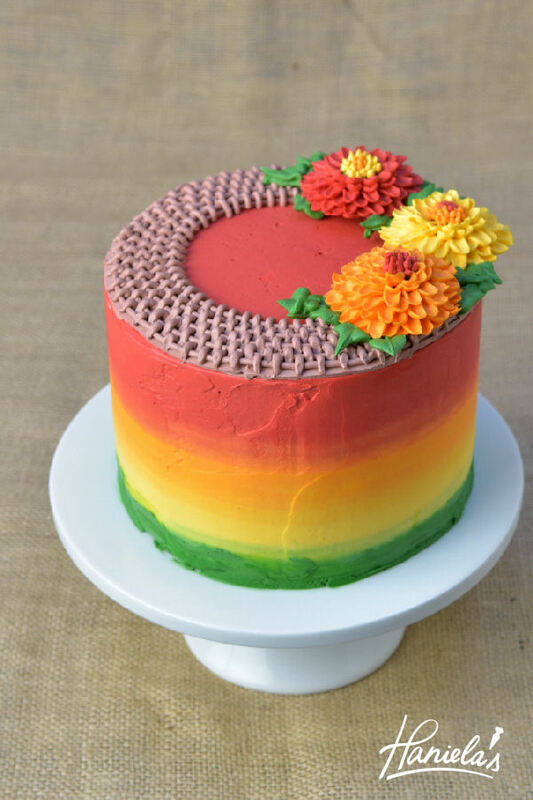 Today we are celebrating colors of Fall with this beautiful buttercream cake. And, like that wasn’t enough it’s also all about the falling leaves season inside as well. I made a pumpkin pound cake. It really is a delicious cake. I used Swiss buttercream to fill and ice the cake. It’s one of my favorites to use. It’s silky and just delicious. I also used to make these pretty Fall flowers. 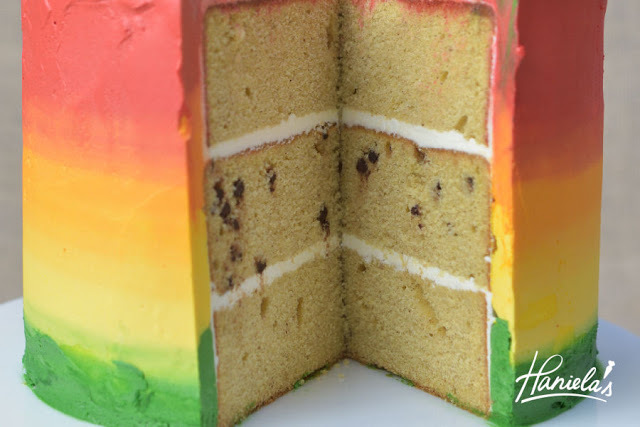 I divided pound cake batter into 3 -6 inch cake pan, to one of which I also added some mini chocolate chips. Doesn’t look pretty? Burlap buttercream wreath – cut out a Round Template from a cardstock paper, size depends on the size of your cake. Then make the buttercream transfer(you can see how it’s done in my video below). 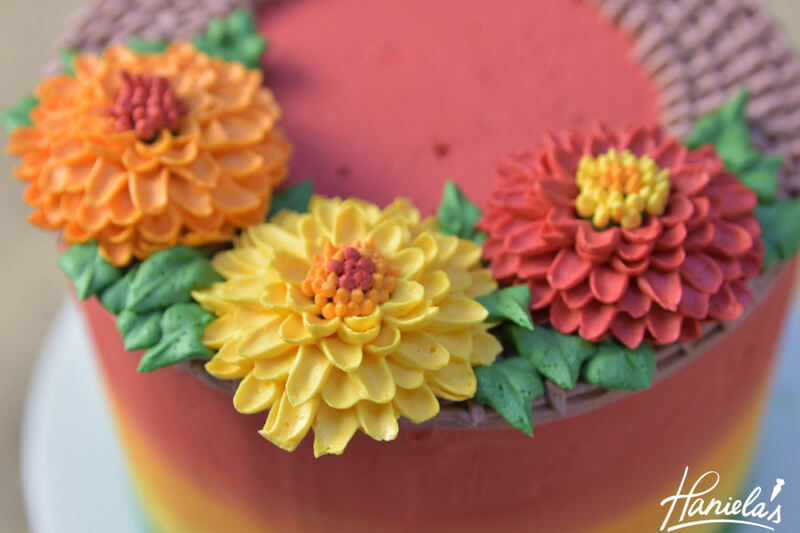 To color Swiss buttercream I used a warming technique. Take little amount of buttercream, add food color and microwave for a few seconda. Stir well. Buttercream will become little thin, that is okay. Add it to the rest of the buttercream and stir well, repeat until desired color is reaches.